There are two ways to get to Normandy, by ferry or by car. I strongly suggest you chose the latter as it will save you time and when you are on holiday time is everything. The ferry time from Portsmouth to Caen in Normandy is 7 hours and you can either choose a day ferry or an overnight ferry, I detailed this information in the transportation section of this web site. You can also choose a different ferry route to either Cherbourg from Poole or Le Harve also from Portsmouth, though I probably would suggest Caen as this is the closest point to the beaches, museums and bunkers. 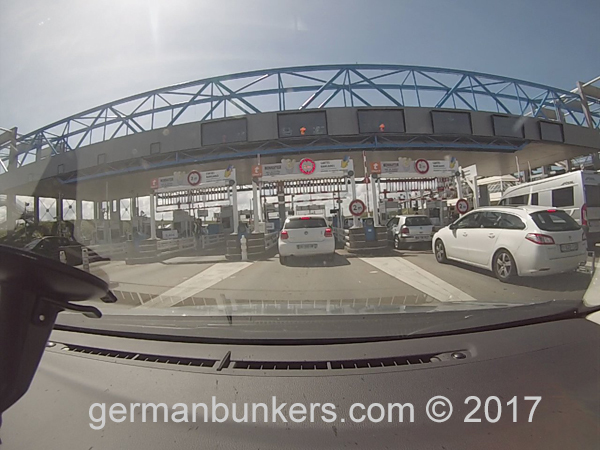 If you are coming by ferry you can either bring your car from the U.K. with you or pick one up in Caen which is the main town outside the port of Ouistreham though it is classed as Caen. Hertz have a really nice rental car agency in the city of Caen not too far from the ferry terminal. When I was there in 2013 there was not a Hertz rental car pick up point at the ferry terminal. I had to take a taxi into town which cost about 15 euros. The staff at Hertz are very friendly and they have a great selection of cars to chose from. If you are bringing your car with you then you don't have to worry. Remember the French drive on the same side of the road as the Americans do. If you hire a car in the U.K. then your steering wheel will be on the right and you will be driving on the opposite side of the road, some drivers don't like this so you may just want to hire a car in France. Carrentalsco.u.k. have a handy comparison web site that will search for good offers. Most of the car rental locations are located within the same general area. 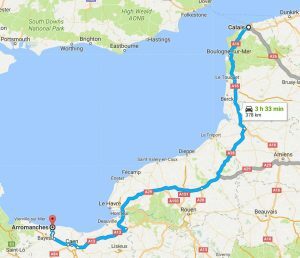 On the 2016 trip I drove from Calais to Normandy and if you are looking for a beautiful drive then I highly suggest this route. 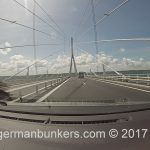 There are some beautiful remains of the Atlantik Wall on the way and if you want to really make this a special trip you can take your time and make a few stops along the way. 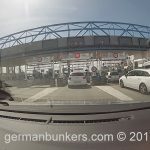 If you are driving directly to Normandy to Calais with no stops other than petrol/gas and food then the trip will take you about three and a half hours. The French country side is stunning and you will really have a nice chance to take in the beautiful scenery on this drive. The A16 will pass through the areas of Audinghen, Boulogne-ser-Mur, Abbeville. When you have passed the town of Abbeville the A16 will turn into the A28. The A28 will continue on-wards until it reaches the town of Neufchatel-en-Bray where it then turns into the A29. 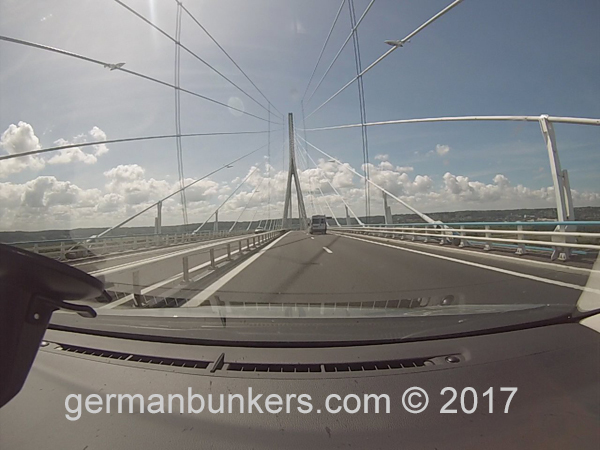 Continue driving until you passed the port city of Le Havre, you will come to an enormous bridge called the Pont de Normandie that spans over the mouth of the North Sea and which turns into the river Seine. Once you have crossed the bridge continue driving until you have passed the area called Surville, the road then turns into the A13. The A13 will continue until you have reached the city of Caen. The road then turns into the N13. 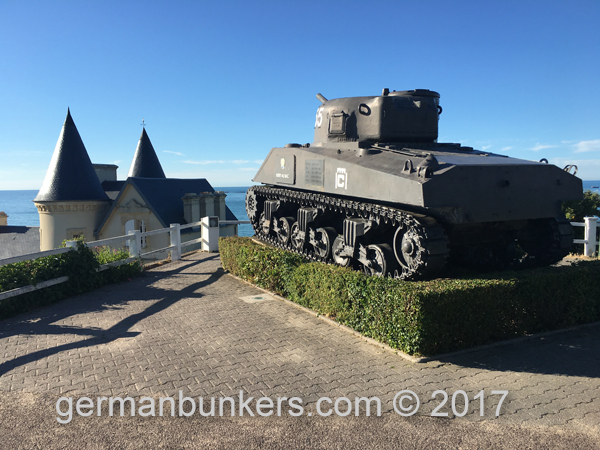 Now this route effectively takes you to the town of Arromanches which is where Gold beach is located, the British landing beach for D-Day. So now that you have arrived in Normandy it's time to hit the beaches! First thing's first don't expect to see them all in one day, each one is unique and you really should take your time when visiting Normandy and the D-Day beaches. 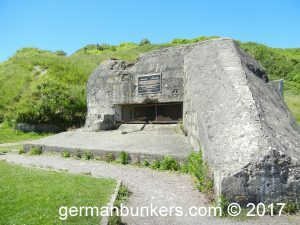 There are plenty of wonderful museums to visit as well as German bunkers both part of the museums themselves as well as those that are abandoned and ready to visit. To keep this as simple as possible I am going to use the city of Caen as a starting point for all five beaches. 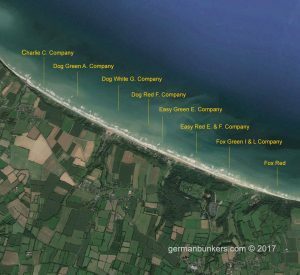 They are all very easy to locate and again as mentioned before I would preset all of your locations of interest including the D-Day beaches in your GPS device, then you can just click and go. Also as I mentioned earlier France is really great for sign posts, they do a great job of letting you know visually of what point of interest is coming up. 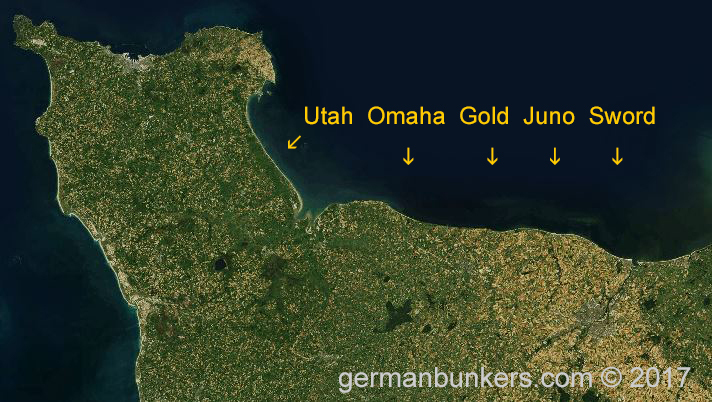 Utah Beach is at the farthest end to the west. When leaving Caen you will take the circular road which is the N814 which then leads into the N13, the N13 is classed as a Trunk Road. 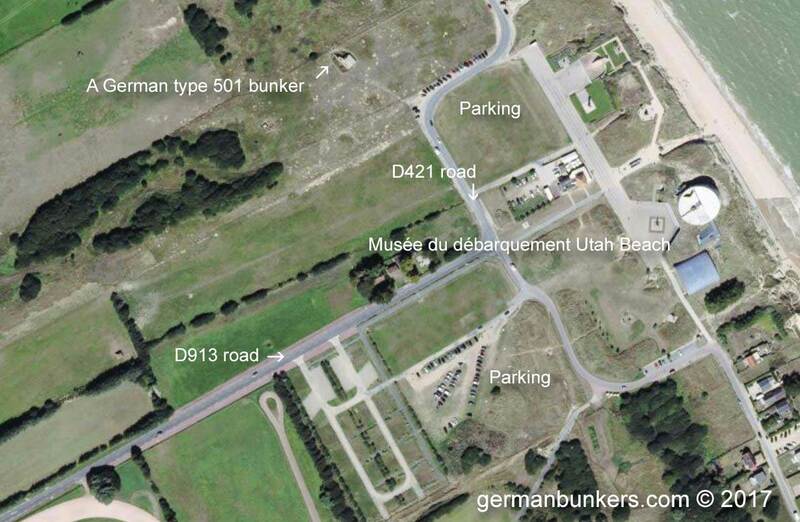 The actual road that leads to Utah Beach is the D913. There is plenty of parking and of course there is a wonderful museum at the end of the road, in addition there are some nice bunkers to explore in the general area and within walking distance of the parking lot. The American Cemetery at Collville-sur-Mer is an absolute must visit. D-Day and accounted for the most casualties. This area is rich with museums and also is the site for the American cemetery at Colleville-sur-Mer over looking the bluffs of Omaha Beach. When visiting this beach make sure you set aside a whole day for just the cemetery it's museum and it's immaculate grounds. The cemetery and it's museum are deeply moving and you should take your time when walking through this site. Now Omaha Beach is extensive, it is in fact the largest of the beaches on D-Day covering the area from Vierville-sur-Mer down to Colleville-sur-Mer. It's also important to know which units fought on what sector of beach. 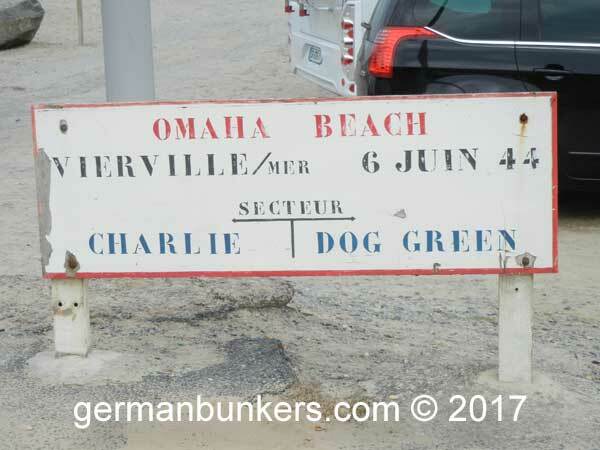 For instance in Vierville-sur-Mer it was headed by Charlie company. And if you have seen the film Saving Private Ryan then you know that it was headed by Easy company. Easy Red company was part of the 1st infantry division and Charlie company was the 29th infantry division. 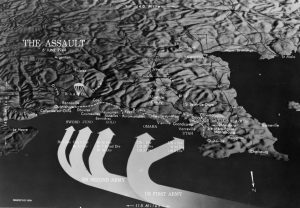 We are going to start from the West and head East for Omaha Beach, the WNs and the American Cemetery at Colleville-sur-Mer. WN71 and WN72 are located just outside a hotel on the beach called Hotel Du Casino. I featured that earlier in the Accomodations section. From Caen take the N13 which will turn into the D30 and will end at the D517. WN65 is located at 115 Rue de la 2ème Division Us, 14710 Saint-Laurent-sur-Mer. The American Cemetery is a must see and is located at: 14710 Colleville-sur-Mer. From Caen take the N13 which will turn into the D97 and leads to the D514. 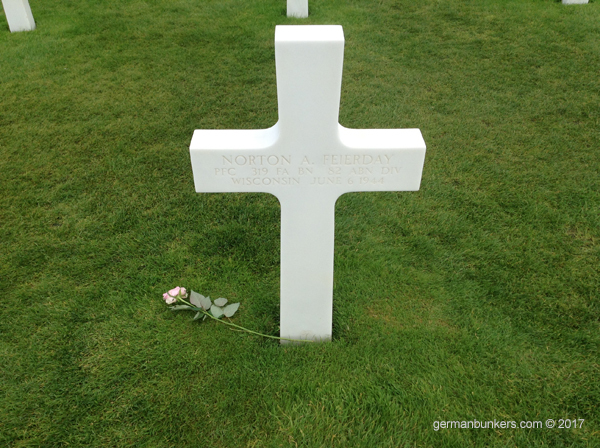 WN62 saw fierce action of D-Day with Easy Company and were the direct result of a huge number of casualties. This area of the beach is wonderfully rich with trenches, machine gun nests and other important parts that make up this sector. It will be detailed in full later on in this web site. Be prepared to spend a good day here on this beach. There is a parking area as well as a nice cafe at the end of the beach towards the east or on the Fox Red sector. There are two bunkers here for WN62 an upper and a lower one. WN61 is at the end of this road past the parking area, there is a little cafe here where you can have lunch if you like. Gold Beach is located in the seaside town of Arromanches. It's a really nice little town which can get very busy during the summer months. The beaches here are littered with the remains of the British Mulberry Artificial Harbor, a truly ingenious invention. There is also a number of museums here as well as German bunkers. From Caen take the N13 which turns into the D35. From there keep driving until it turns into the D127. It will then turn into the D205 and finally the D65. There is parking right inside the town though it does fill up very quickly. The Gold beach sector includes a number of fine bunker types. They include WN42, WN43, WN44. WN37 is located in the town of Asnelles. Juno is the landing beach for the Canadian forces. From Caen take the D7 you will take a left at the roundabout and then go straight onto the D404, you will keep driving until you reach another roundabout which turns into the D79. Keep driving until you reach the last roundabout where you will take a right onto a road called Route Anglaise, this road will continue on and turn automatically into the Rue du Val Pican this then turns into the Avenue de la Liberation which leads you to the beach. Looking to your west you will find the Juno Beach Museum. You will have to walk a bit or better off just drive as there is a nice parking area. From the Avenue de Liberation take a right Avenue de la Combattante, then take a left at the Quai de Allies, here take a right at the pier, there will be sailboats docked to your left and the mouth of the La Seulles which leads to the English Channel to your right. Shortly after you have crossed the pier take a right at the Rue de Marine Dunkerque, finally take a right on the Voie des Francais Libre, the museum is on the right hand side. Sword Beach, the second British landing beach is the last of the D-Day invasion beaches. From Caen take the D7 until you reach a roundabout where you will take a right onto the D221, continue driving passing through the town of Cresserons, then keep driving until you have reached another roundabout, take the left which leads to the D514. There is a nice British Churchill tank to your left and a parking lot to your right. If you keep walking or driving east you will have access to a wider swath of the beach area with additional parking, restaurants and shops etc.